Help toddlers and preschooler learn their alphabet letters. If you have a toddler or preschooler you may want to try a fun, hands on approach to teaching kids their letters. 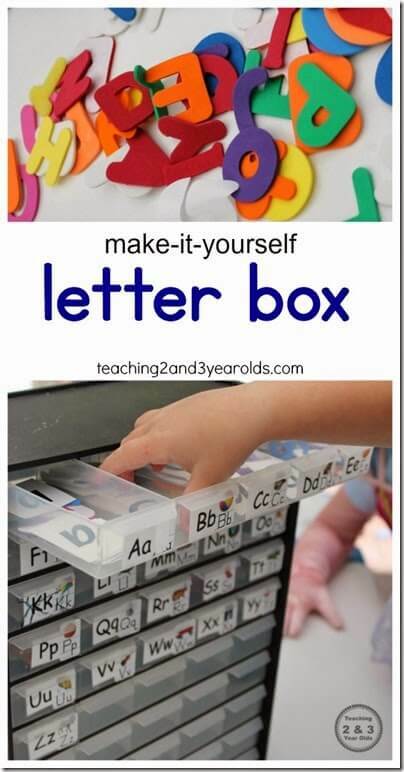 Find out how to make a Letter Box from Teaching 2 & 3 Year Olds.